My extensive experience as a Periodontist, Certified Functional Medicine Practitioner, and Certified Primal Health Coach has provided me the opportunity to be featured in print and online. 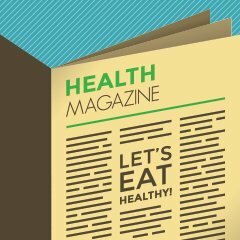 Listed below is a sampling of the articles I have written and interviews I have given regarding gum disease, ancestral nutrition, and overall health. Interviewed on The Period Party Podcast with Nicole Jardim. Interviewed by Jonah Larkin on The Human First Show with Jonah Larkin, December 21, 2017. Mark Sisson published my article on Friday, 11/3/17 in Mark’s Daily Apple – Success Stories. YouTube: “Expert” on Dental Panel at the Ancestral Health Symposium 2017 on 9/7/17 in Seattle, WA. My part starts at the 17:48-minute mark in the video. Interviewed by Bryan Carroll on Summit For Wellness Podcast, October 19, 2017. Elektra Press published my book, Crazy-Good Living, in print form on October 11, 2017. Interviewed by Dr. Matt Standridge on Ketodontist Podcast, October 9, 2017. Interviewed by Ben Weitz on Rational Wellness Podcast, September 25, 2017. Interviewed by Dr. Scott Saunders on Functional Oral & Airway Health Summit, September 21, 2017. Interviewed by Dr. Noah DeKoyer on Beyond Your Wildest Genes, August 7, 2017. Interviewed by Joe Condora, Jr. and Amber Lowry on Primal Example Podcast, July 3, 2017. Well Being Journal, July/August 2017, “How To Beat The Beast Of Dental Disease”, Vol 26, No 4, pp42-47. Interviewed by Ali Watts on Ali Fitness Podcast, June 4, 2017. Interviewed by Jonathan Landsman on NaturalHealth365 Inner Circle, May 21, 2017. Dr. Veronica Anderson published my article “A Perspective On Our Oral Health: Are you a visual person?” on her website , April 20, 2017. Well Being Journal, March/April 2017, “Why Do I Have These Dental Problems?”, Vol 26, No 2, pp10-15. Interviewed by Rory Callaghan on Fill Your Cup, January 31, 2017. Interviewed by Dr. Veronica Anderson on Dr. Veronica’s Wellness Revolution, January 19, 2017. DrBicuspid.com published my 5-part, 7-hour CE Course for dentists and dental hygienists titled Beat the Beast of Dental Disease, December 27, 2016. Interviewed by Brian Peterson on Unleash Your Gene-ius, July 19, 2016. Interviewed by Carolyn Gray on The Wellness Buzz, July 5, 2016. Well Being Journal, July/August 2016, “Eat Better, Live Better, Feel Better”, Vol 25, No 4, pp9-14. Interviewed by Stephen Anderson of The Holistic Practitioner Podcast, March 24, 2016. Interviewed by Dr. Noah DeKoyer of Beyond Your Wildest Genes Podcast, March 7, 2016. Well Being Journal, March/April 2016, “Stress can cause havoc in your mouth”, Vol 25, No 2, pp13-16. Interviewed by Ken Liu of Discovering Paleo Podcast, January 11, 2016. Well Being Journal, November/December 2015, “Born to be Healthy”, Vol 24, No 6, pp8-18. Interviewed by Will Revak of OralWellness.com, October 10, 2015. Well Being Journal, September/October 2015, “Nutrient-Dense Foods: Brushing and Flossing”, Vol 24, No 5, pp28-32. Interviewed by Meredith Rhodes Carson on her podcast, The Roots of Health, August 5, 2015. Interviewed by Carolyn Gray on her podcast, The Wellness Buzz, August 5, 2015. Well Being Journal, July/August 2015, “Nutrient-Dense Foods Activate Crucial Protein”, Vol 24, No 4, pp4-5. Well Being Journal, May/June 2015, “Gum Disease and the Sun”, Vol 24, No 3, pp27-29. Well Being Journal, March/April 2015, “Gum Disease & Nutrient Dense Food Supplements: Results of an In-Office Study”, Vol 24, No 2, pp12-16. Well Being Journal, January/February 2015, “How I Changed My Life With Nutrition”, Vol 24, No 1, pp35-37. Interview with Dr. Alvin Danenberg: Dentist Gone Paleo!